Gorgeous Galway has always been regarded by many as one of the most beautiful places in Ireland to tie the knot. And it’s not hard to understand why – the breathtaking beauty of the Connemara Coast, the almighty craic to be had in the pubs of Galway City and of course, the amazing wedding venues which offer up true Irish hospitality and make amazing memories to last a lifetime. 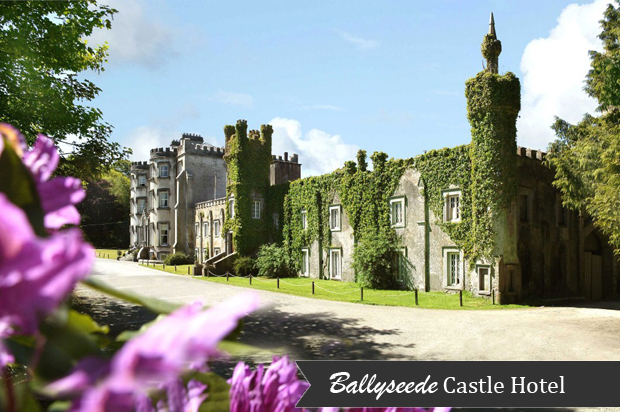 Today we’re taking a look at some of the best wedding venues in Galway, from fabulous private country houses with the most intimate and relaxed atmospheres to ultra luxurious hotels which take full advantage of their spectacular setting on the Wild Atlantic Way, to give you an idea of what’s in store for a wonderful wedding in the west. 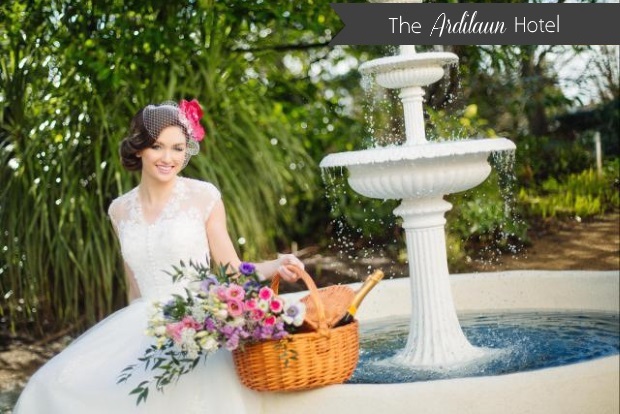 The Ardilaun Hotel has a choice of two banqueting suites for weddings – the plush, high ceiling Connacht Suite and the intimate and enchanting Glenarde Suite. A stunning setting for photos, the perfectly manicured gardens with pretty arches and a fabulous fountain are a great place to spend some time together before the party begins. 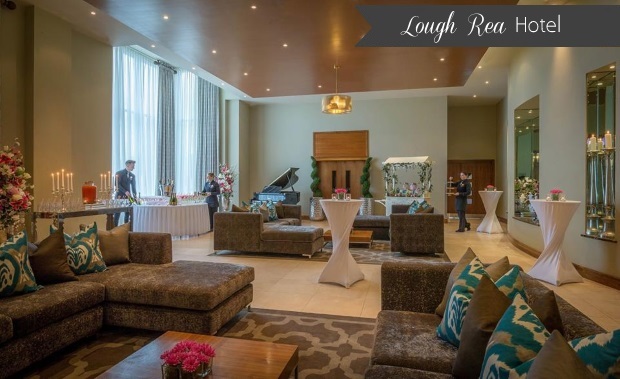 The incredible Lough Rea Hotel has been the setting of many stunning weddings over the years, and their new Roof Top Garden Bar is sure to be the setting for many more celebrations! 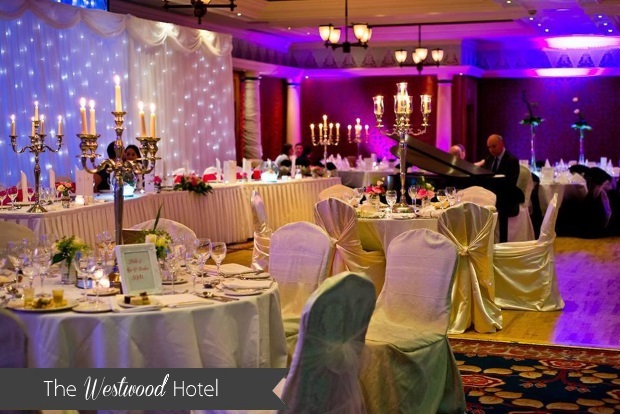 Weddings are held in the De Dannan Suite, with Murano glass chandeliers, luxurious velvet drapery and its own bar, while ceremonies are held in the private Slieve Aughty room. 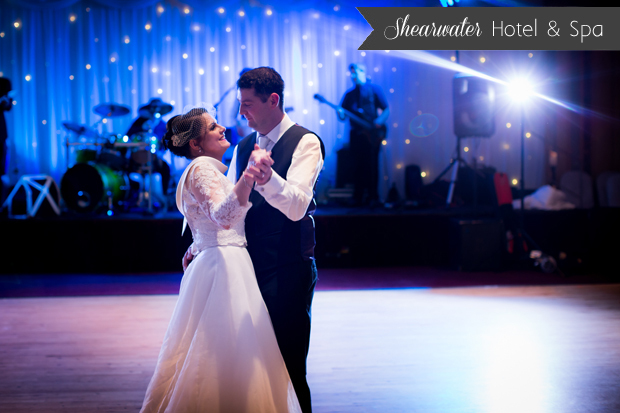 The beautiful Shearwater Hotel in Ballinasloe is a wonderful setting for Galway weddings. Renowned for its award-winning food, the Shearwater has always been a hit with couples looking to impress guests with a fabulous, unique menu, created by a head chef with priceless experience in some of the world’s finest restaurants. In summer, the rooftop garden can be used for photos. The stylish and contemporary Clayton Hotel is the perfect location for couples looking to celebrate their wedding in complete luxury. Weddings are held in the Clayton Ballroom, on the first floor of the hotel, which is bathed in daylight and has two private bars. 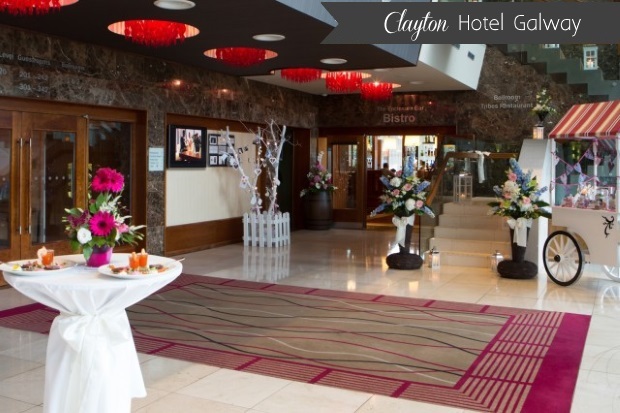 The Clayton Hotel prides itself on its professional service and acute attention to detail for all their weddings. The elegant and luxurious Salthill Hotel, located on the beautiful Salthill Promenade and overlooking Galway Bay and the Hills of Clare, is a great option for couples looking for versatility and luxury for their wedding celebrations. 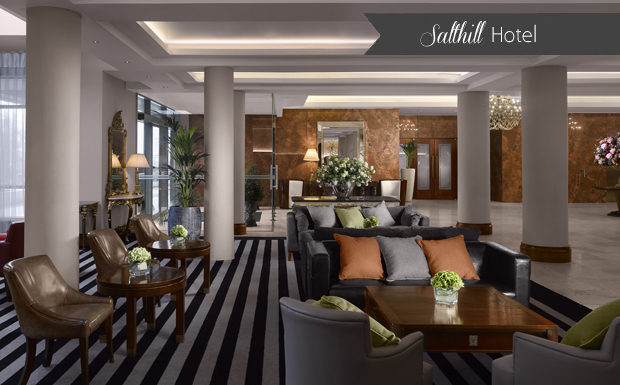 Salthill Hotel offers complete comfort in its accommodation, and prides itself on its superior food and excellent menu choices. 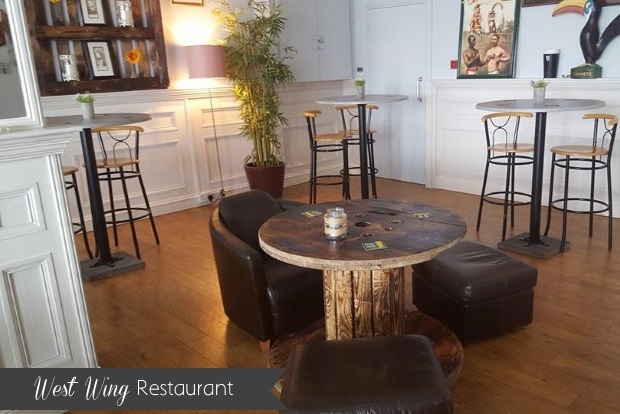 For couples looking for somewhere a little bit different for their wedding reception, the elegant West Wing Restaurant in Tuam is the perfect option. Weddings are held in the elegant Lincoln Suite, where of course great food and expert service is the order of the day. The West Wing Restaurant’s dedicated wedding coordinator will work with couples to create a unique and memorable day. 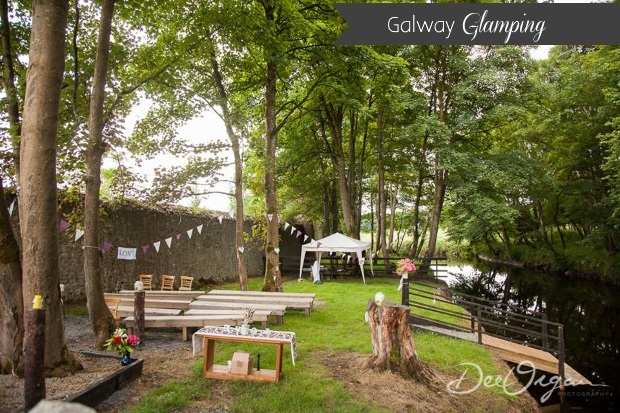 The former farmyard complex and now host to some of the country’s most unusual and exciting wedding celebrations, Galway Glamping in Ballyglunin is a unique way to celebrate your nuptials in natural surroundings. Comprising a 16th century towerhouse, two adjoining 18th century stables, and 19th century chapel, coach house & cottages, Galway Glamping provides a perfect setting for an elegant, earthy wedding. 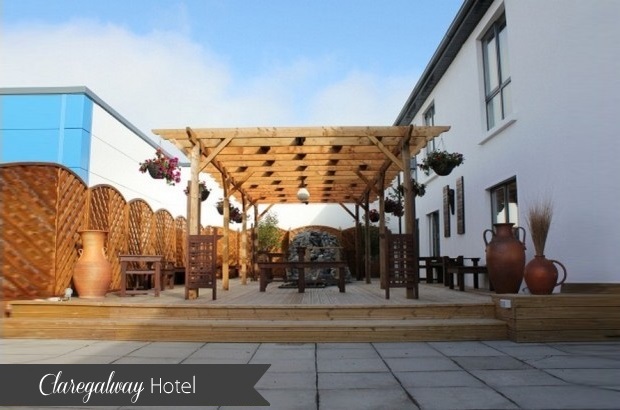 In the bustling village of Claregalway lies the ‘definitely different’ Claregalway Hotel. Renowned for its warm welcome, impeccable, friendly service and excellent food, wedding celebrations are in good hands at the 3 star hotel. Wedding photos can be taken by the picturesque Claregalway Abbey. The family-run Oranmore Lodge Hotel is a charming 19th century country house that has been restored to an exceptional standard. Their recently refurbished Inismaan Suite provides a beautiful backdrop to wedding receptions, where great character and attention to detail are evident. 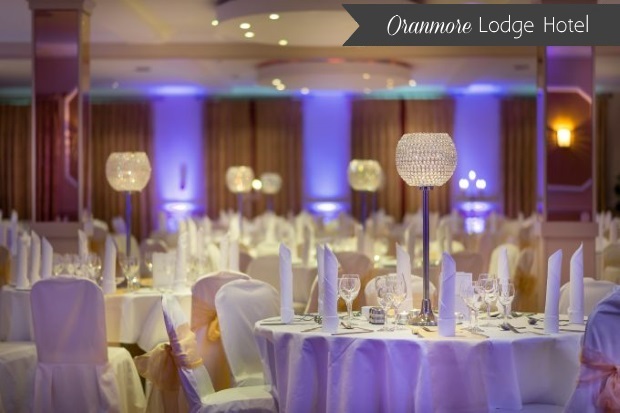 As a family-run hotel, the Oranmore is hands on with every celebration they host, and wedding coordinator Shirley and her team see their couples through smoothly from initial consultation. With its spectacular views over the Connemara Coast, it’s easy to forget that the Connemara Coast Hotel in its unspoilt landscape is a mere 10 minutes from Galway City. 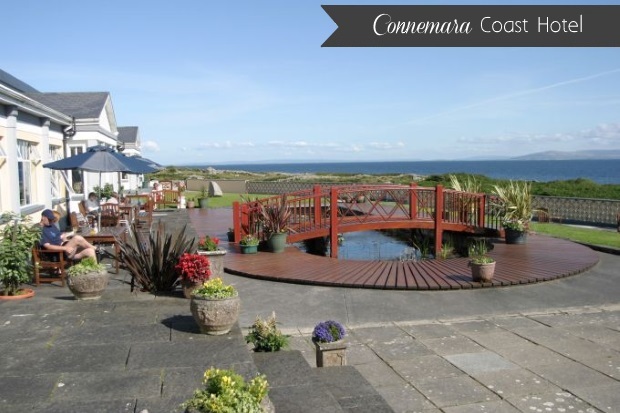 Connemara Coast Hotel provides a beautiful setting for Galway weddings, which are held in the distinctive Aran Suite. The hotel offers a range of special packages to suit every style of wedding where every little detail has been considered. 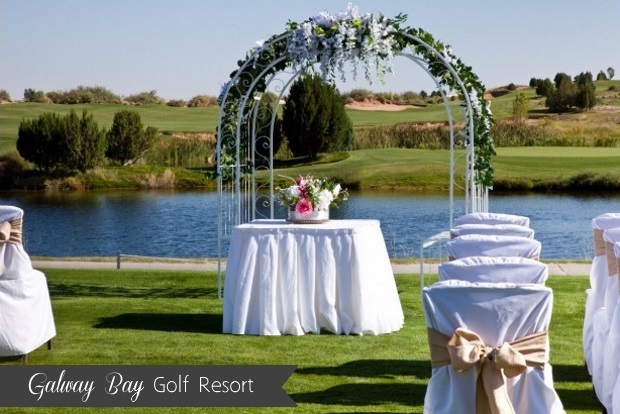 The spectacular Galway Bay Golf Resort on the Wild Atlantic Way is a truly special venue for a special day. The 11,000sqft Clubhouse overlooks the 18 hole golf course and Galway Bay, where the Rinville Point Restaurant and function room has taken full advantage of the incredible views on offer. 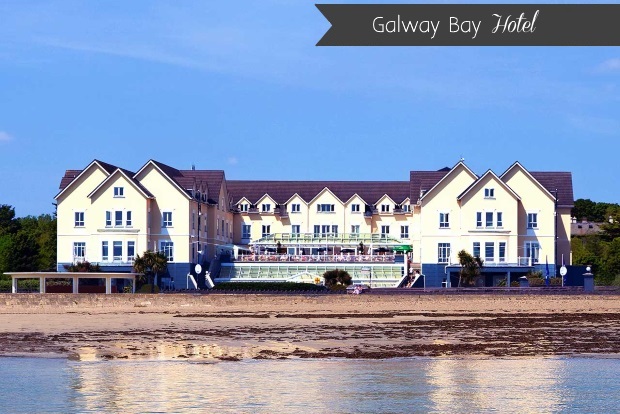 With its stunning sea views, Galway Bay Hotel is a fabulous option for couples looking for a picturesque venue in the west. Galway Bay Hotel hosts some of the most spectacular Galway weddings and is known for its luxurious setting and fabulous atmosphere. Weddings are held in the Lettermore and Ballyvaughan Suites which are beautifully designed to take advantage of the incredible views on offer. The Westwood Hotel may be teetering on the edge of Galway City, bit with the leafy greens of the country grounds, you could be anywhere. The Westwood Hotel is all about luxury and romance, with an intimate atmosphere and meticulous attention to detail. Weddings are held in the spacious Richard Marin Banqueting Suite which features two bars, a dramatic fireplace and adjacent conservatory.